The gallery was named in honor of our friend, the late Roger Allen, founder of the Old Chicken Farm Art Center and long time SAMFA supporter. Artists (emerging and pro) are welcome to show in the Coop. We want to encourage artists to try new things. Installation, performance, new media and traditional processes are all welcome in the Coop. The space is limited only by your imagination! K-12 Classroom Teachers: Show off student art and projects for FREE! K-12 Classrooms participating in a multi-visit art program at SAMFA are invited to a Coop Gallery reception to celebrate their work. To schedule a multi-visti program call (325)653-3333. Wall High School Art Students have produced original works of art to compete in the Visual Arts Scholastic Education Regional Competition. Each work was chosen by the students as well as the media. Refreshments provided. Chicken Farmers from both past and present are having an exhibit opening of their pottery in the Coop Gallery at 427 S. Oakes St. 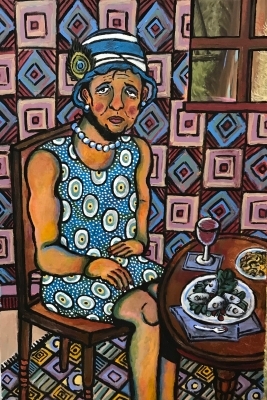 There will be seven artists exhibiting, including works from the late Roger Allen. Artists include: Cody Clinton, Ashley Crumley, Kassie Dilworth, Eric Grasham, Vicki Hardin, Joe Morgan and pieces of Roger Allen's from the Starkeeper Gallery. Signification (April 5-7, 2019) The "signification" art exhibition included art color theory and mixed media studies by the Water Valley Artist Society art students. These student artists created art that connects to many design principles such as color, value, visual and actual texture, variety, shape, line, and other mixed media applications. Concho Valley Woodturners Exhibit (March 21-23, 2019) The Concho Valley Woodturners exhibited a variety of their remarkable creations and each piece was unique and hand made. 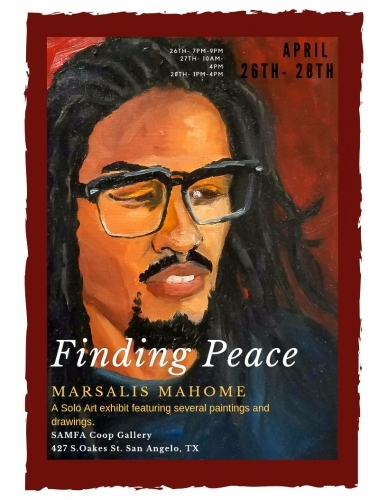 SAMFA Museum Staff Exhibit (February 21 & 23, 2019) The Museum's employees showcased their own artworks in an eclectic exhibit at the Coop Gallery. Each employee has a passion for artwork, which has led them to join the museum staff over the years. There was a variety of mediums and styles on display for the public to enjoy. Kara D Fashion Exhibit (February 16, 2019) Kara D will be showcasing her fashion works from her senior show at the Art Institute. Exploring the Elements of Art (November 15 & 17, 2018) A display of student prints, paintings, drawings, digital photography, and short films, made by 8th graders from Glenn Middle School. Zoos Without Bars (November 9 - 11, 2018) Art themed around the animal kingdom. From the majestic aspects of wildlife to the human interactions with the beasts of our world. Molly Archer's solo exhibition is an all new series of abstract paintings. Each piece consists of a blended colorful palette of rich dark layers covered and peeking through light pastels and bright colors with layers of gold leaf accents. Featuring Michelle Cuevas, Elaine May, and Shaydee Watson. Bringing together 3 local San Angelo women artists showcasing a light hearted, exciting exhibit. "Awakened" is the emergence of new artist Kim Leabo. Each piece is inspired from her personal life experience. This collection is non-object and abstract. It is meant to be interpreted differently by each viewer. Pieces are colorful and inovke different emotions for all. The "re-Constructs" art exhibition contains a variety of studies from both Water Valley Artist Society of Water Valley ISD and Angelo University art students. Art works on exhibit include mixed media narratives and portraits, still life and altered object drawings, figure studies, video, color theory paintings and mixed media sculpture studies in this collective art exhibition. This exhibition is being curated by Christopher Voss, Art Instructor of the Water Valley ISD and Adjunct Professor of Art at Angelo State University. An exhibit of digital photographs produced by students from Angelo State University who are currently enrolled in the Advanced Photography class. This was our 20th annual Six Pack show, in conjunction with San Angelo Museum of Arts Ceramic Weekend. All ceramic artwork pieces in the show fit within the space of a six pack of longneck bottles. A group of students that create art in a studio space to help each other to get more experience in the art field. Participating artists include Johnny Le, Edith Perez, Jazmin Luna, Jill Murray, Taylor Page, Vincent Tanner, Yesika Ramos, Sarah Campbell, Derrick Clifton, Alayna Turney, Andrea Thomas. Adrian Dominguez & Bailey Upton Art Exhibition (November 13 - 17, 2017) A collection of oil, acrylic, and watercolor paintings that showcase numerous issues in society as well as unique forms of self expression. A mixture of surrealism, realism and minimalism. ASU Students Study Abroad Art Exhibit (September 22-24, 2017) A collection of works Angelo State University students put together to raise funds to go towards a study abroad program in Nepal. ec•lec•tic (May 19-21, 2017) This group exhibition contains a collection of visual engagements by the artists of the Water Valley Artist Society, Water Valley ISD Art Department. These works contain both visual works and written statements that contain in-depth conceptual visual dialog through the eclectic array of studies. Art by Ashley Perales (April 29, 2017 from 6 - 9 pm) Bright, colorful works of art by Ashley Perales. 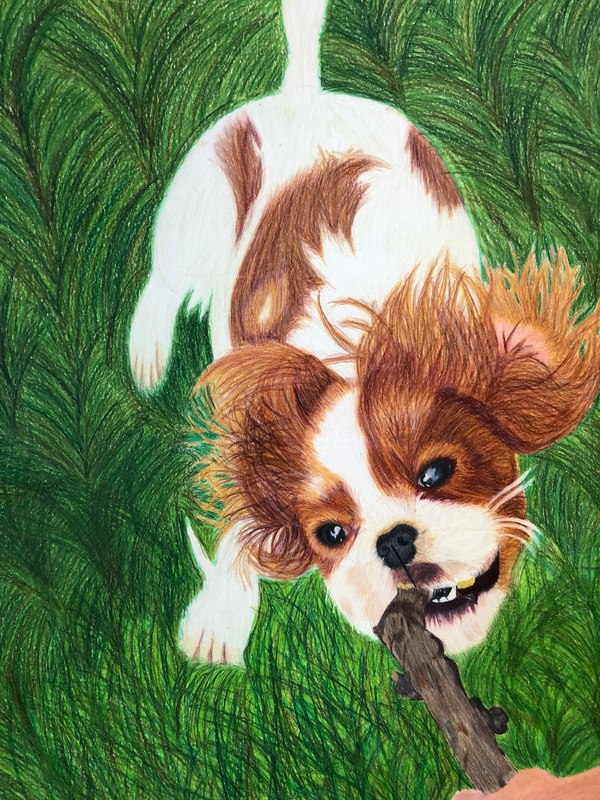 Realistic depictions of nature such as plants, birds, and other animals. All proceeds from show are to raise money for Ashley's study abroad trip. Beginning (April 21-22, 2017) A group exhibit of Potter Doug Oertli & his current & former ceramicists. Participating artists include Tom Orsak, JoNell Richardson, Jack Price, Janet Lay, Jerrilyn Prestiano, Priscilla Nicholson, Scott Sustak, Mary James, Pat Koenig, Diana Lee Jones, Barbara Rallo, Patricia Aylor, Randi Buche, Nelda Englert, Joanna Kulenek, Mary Lee Lenertz and Edna Krueger. Aqua Squad Presents: WaterLESS World (August 18, 2016) Aqua Squad is a group of 10 students from San Angelo Independent School district that spend the summer learning about water issues in our community and how to interpret that information for public use. The 7th and 8th graders become water ambassadors for the Concho Valley and represent San Angelo across the United States. "We Are" Exhibit (May 13-14, 2016) Part of Cocktails & Art, presented by San Angelo Civic Ballet as part of We Are... This exhibit looks at who San Angelo Civic Ballet is as an organization as well as at the creative process behind the We Are... performances. Transitions (January 29, 2016) Solo exhibit by JoElla Mendez. Mixed Media and abstract works on canvas. Friday Art Club (November 19 - 21, 2015) Ten Angelo State University art students exhibit works in a variety of mediums including a collaborative piece painted by all ten artists.